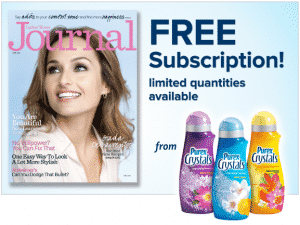 Click here to visit the Purex site and fill out the easy form to enter the Purex sweepstakes, where they are giving away 20,000 free subscriptions to Ladies Home Journal. According to their terms, they’ll notify the winners around June 25, 2012. Good luck all!